Of course it is possible to avoid this, but better is to renew. Did anyone else get the following message? Yep, I’m getting the same thing it keeps telling me that the security certificate has expired and my connection may not be secure. Ack! 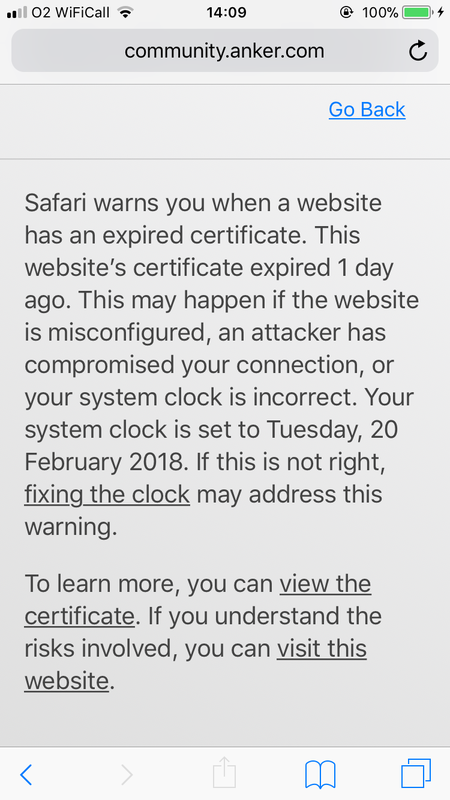 I'm getting the message about an expired certificate, too. Thanks for reaching out to the admins, @ndalby ! Think I will ask them, if there is a free job for an "old ADMIN". This was my job for many years! I got that same message on my Chrome browser. same here too. It makes landing a lucky number extra hard.. its is unfortunate after spending hours staring at my computer screen the last few days. confused: oh well hopefully they fix this before the lucky number contest ends. What a coincidence! Might get this fixed after 21st. Well this is sloppy. You can renew the certificate up to 120 days before it expires so they've had almost 4 months to sort this out. Lunar New Year is no excuse. "There is a problem with this website’s security certificate. The security certificate presented by this website has expired or is not yet valid. Click here to close this webpage. Continue to this website (not recommended).	" You can choose to continue to website without fear since there is nothing malicious about this error but simply that their certificate has expired from GoDaddy and needs to be removed. 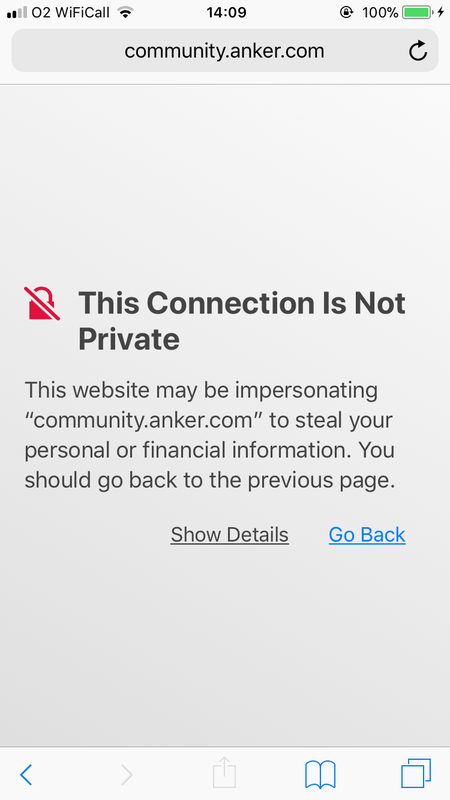 I hope Anker see's this and address' the issue soon. Could use let’s encrypt with cronjob to auto renew. That’s what we do with our work stuff. Yeah I’ve had the same message. I was beginning to wonder if it was only me. Glad to see I’m not crazy. Yeeeeeep. Exactly the same for me. But at least we can reach forum and I think they will solve it tomorrow. Yeah. It took me most of the day of trying every once and a while to get back on.